As parents, we try to plan for most bad occurrences. Whether it is on a family car trip or a extended doctor's visit, electronic devices can be extremely useful. This little handheld diversions can make the long hours pass quickly. The biggest downside to this items is when the battery dies. The kids whine that they can no longer play and parents are wondering when the boredom will end. So what is the solution. For our family, it is a solar charger. The solar charger is an eco-friendly way to restore your device's battery. Of course, electronic outlets can be used, but sometimes this option is unavailable. Sometimes outlets are already being used, are in high demand or just are unavailable. With a solar charging device, all you need is a light source to bring your device back to life. 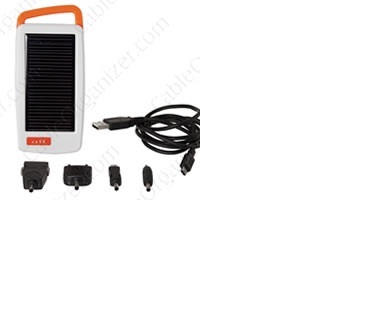 There are various types of solar power charging devices on the market. Two devices that work well for my family are the Manhattan Solar Power Pack and the Daytripper Solar Charger. The Manhattan Solar Power Pack (purchase for approximately $40) is compact and can be easily carried in my purse. The carrying case holds both the charger and all the adapters. More importantly, I can charge my iphone, ipad, camera and the kids' video games with this device. During long swim meets, I have placed the charger on my car's dashboard to charge when we arrive in the morning. When my kids' iTouch battery dies around mid-afternoon (yes, swim meets are long and there aren't too many electronic outlets to be found), I can give the iTouch a boost of power and we're happy campers for the remainder of the swim meet. 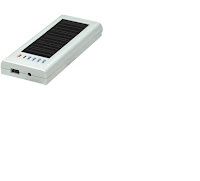 Another good solar charger is the Daytripper Solar Charger (purchase for approximately $24)In addition to providing charge to your devices, this charger offers an integrated light and runs for 5 hours. I think that this version would be perfect for travelers. If you have ever stumbled in a dark bathroom, this light would be a must have. There are no more excuses for having a dead battery. Check you the various options available at Cableorganizer.com. With a compact, light weight solar power charging device in your bag, your phone, gaming device or tablet is always be ready to go. Disclosure: I received these items to review. All opinions are my own. I had no idea that they even made solar chargers! These would really come in handy on a cruise! This is so cool, my husband would love it! A solar charger would be an awesome thing to have! I had no idea they even made them! Thanks! How awesome! I NEED this! Ok now that's something I need to look into!!! I have a bunch of stuff that keeps dying on me! This is very cool and a must have... as in I must have one. My son is doing solar energy in school right now and I think it is a great way to show him how it works. Thanks for sharing this. That is so cool! I want a solar charger. This is awesome! I'm going now to get one. Thanks!